This book talks about healing, prayer for healing, gift of healing. The relationship between the Devil and disease, sickness and sin, healing and forgiveness, and exorcism and deliverance form an intriguing and controversial set of issues. This monograph brings some clarity to the topic by offering the first full-length examination of the origins of illness in New Testament thought. In an attempt to respect the diversity of thought within the New Testament, the author employs a method that allows the distinctive contributions of each New Testament writer to be appreciated on their own terms. 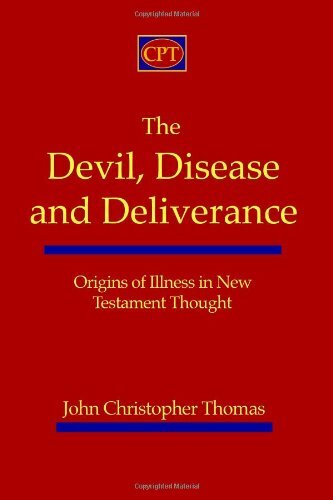 These readings are followed by an attempt at the construction of a New Testament theology of the Devil, disease, and deliverance where the distinctive voices on this topic are in relation to one another. The monograph concludes with a chapter devoted to the implications of this study for Pentecostal theology and ministry.